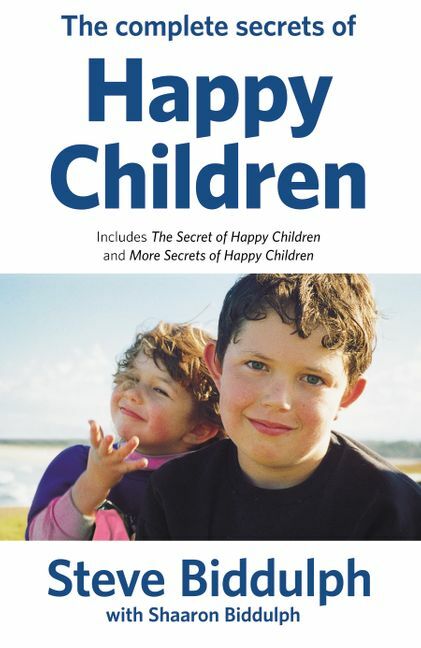 The Complete Secrets of Happy Children is a special, combined edition of the highly acclaimed bestsellers The Secret of Happy Children and More Secrets of Happy Children. In the Secret of Happy Children you will discover what's really happening inside kid's minds, and what to do about it. And you will find out how to be a stronger, more loving, more definite and more relaxed parent. You'll learn how to let go of old, negative approaches, and free up more energy to enjoy your kids and your life. More Secrets of Happy Children (written with Shaaron Biddulph) tackles other important concerns of parents today such as: how to help toddlers and children feel secure and settled; discipline methods that work (without hitting or yelling); making sure your love gets through; being the best kind of dad; and the childcare dilemma.